HIGHWAYS England has ramped up its plans for the Lower Thames Crossing, announcing an updated market engagement process for the £6.8bn project. The agency said that it was launching a wider market engagement process for archaeological and enabling works, as well as information technology and an update process relating to the tunnels and roads. This project, which is the largest in Highways England’s road investment programme, with the overall project being estimated to cost between £5.3bn and £6.8bn. In a prior information notice published to the Official Journal, Highways England said: “It is anticipated that initial market engagement for the enabling works and roads and tunnels packaging will commence in Q1 2019 and further engagement will follow in the near future. Highways England said it expected to speak to firms from the UK, Europe and other international markets in order to build the project, which is the largest single road investment project in the UK since the M25 was completed more than 30 years ago. It also said that it was now developing the development consent order application to seek permission to build the crossing, following the completion of the pre-application consultation in December 2018. More than 28,000 people responded to the consultation, making it the largest ever response to a consultation of its type. Highways England also said it was working closely with government to progress the project to the required timescale, following the decision to stop the use of PFI. The scheme had previously been slated to be part-funded under a PF2 arrangement. The 23km Lower Thames Crossing project will be made up of two bored tunnels beneath the River Thames with interconnecting link roads to the M25, A13, and A2. 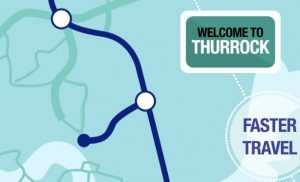 The route chosen will cross under the river east of Tilbury in Essex and Gravesend in Kent creating a link between the A2 and the M25. The crossing will feature three lanes in both directions, and at 16m in diameter, it will be one of the largest bored tunnels in the world.